United Nations data has shown Global per capita fish consumption has hit a record high, passing the 20kg per year mark for the first time. The Food and Agriculture Organization (FAO) report said it was the result of improved aquaculture and reduced waste. Yet despite noteworthy progress in some areas, the state of the world's marine resources has not improved, according to the latest edition of the UN agency's The State of World Fisheries and Aquaculture, which said almost a third of commercial fish stocks are now fished at biologically unsustainable level - triple the level of 1974. The report went on to say that people, for the first time on record, were now consuming more farmed fish than wild-caught fish and that marine natural resources continue to be overharvested at unsustainable levels. Manuel Barange, director of FAO Fisheries and Aquaculture Policy and Resources, decided to look on the bright side and welcomed the fact that global per capita fish consumption has passed the 20kg per year threshold. 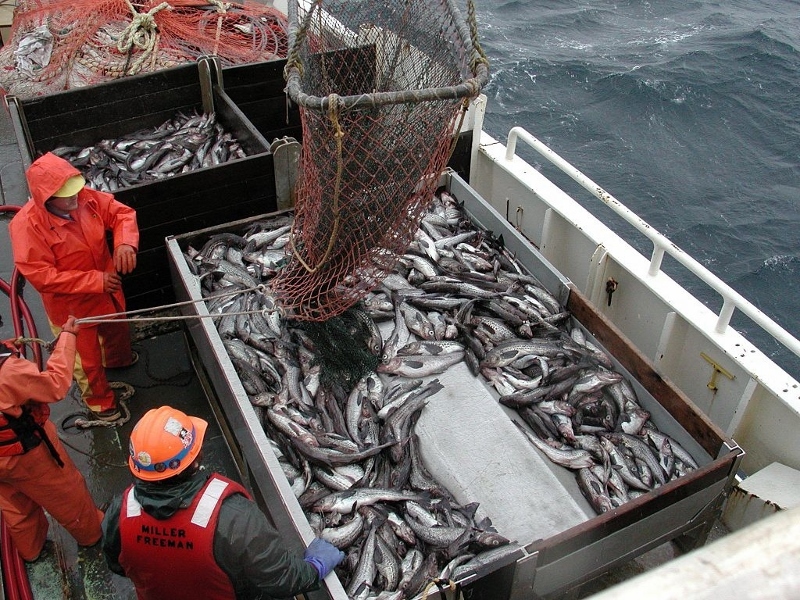 Decreased fish landings have been observed in some regions due to the implementation of effective management regulations, like in the northwest Atlantic, where the annual catch is now less than half the level of the early 1970s. Flounder, halibut and haddock stocks in that area are showing some signs of recovery, although that is not yet the case for cod, which remain at risk. The report described the situation in the Mediterranean and Black Sea, where 59 per cent of assessed stocks are fished at biologically unsustainable levels, as ‘alarming’.